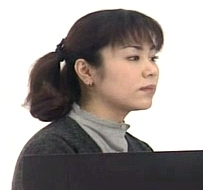 Kiroro consists of two women from Okinawa, both born in 1977. 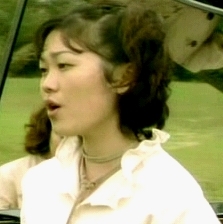 Tamashiro Chiharu is the singer, and Kinjo Ayano plays the piano. 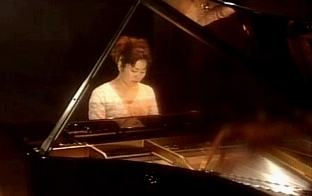 Tamashiro Chiharu has a beautiful voice, and Kinjo Ayano is an excellent piano player. Together they come up with what I would term a classical music/J-Pop mix. The first song shows the very basic approach to their videos. 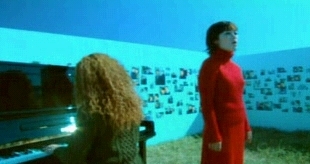 Scenes in this video take place outdoors, with beautiful scenic backgrounds. 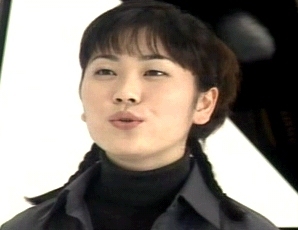 The song itself is very nice, although somewhat sad-sounding. There's no flash and glamour here, just good basic music. 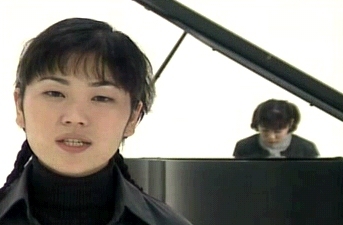 The second video takes place mostly on the stage of a fancy theater; later, two girls (Chiharu and Ayano) appear as spectators. Part of the video also takes place outdoors. Again, this is a very pretty song, gentle and flowing in nature. The third video presents an almost startling contrast, being done on an all-white stage with the girls in black. The song itself is very pretty, and the video works very well. 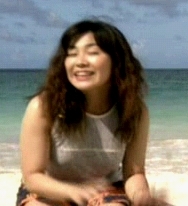 The fourth video is another very pretty, flowing song, filmed on a beach at dusk. 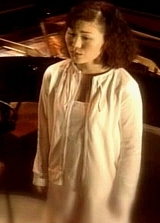 Again, the singer's voice is recorded on several tracks and blended quite well. The fifth song differs considerably from the others. Whereas the others were basically rather somber, this one is plain fun. It opens with both women buried in sand on a beach. They end up chasing some young kids and playing with them, receiving leis, learning how to do the hula and, most different of all, smiling. The song is also more upbeat then the others. There is also no piano visible. The girl who normally plays the piano even appears to be singing, a little, but I'm not sure she's actually singing or lip-synching. It's altogether a very enjoyable song. The last song is also a very beautifully sung song. The two girls are in front of a long l-shaped wall that has lots of photos on it. 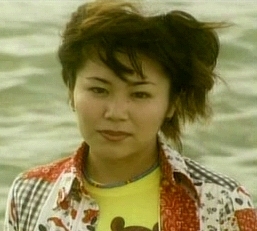 Now, since I speak very, very little Japanese, I'm not sure just what the song is about technically, but it seems to be one girl singing about a love interest that she left. This is really an enjoyable album to listen to and watch.